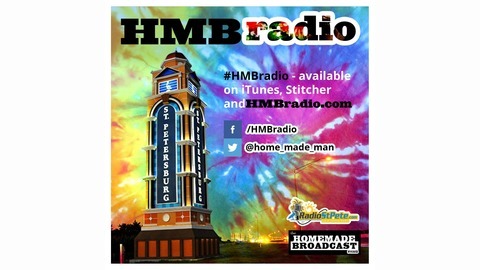 HMBradio is a podcast network focused on personalities in the Tampa Bay area. Anchored by founder, Will Kuncz and his The Homemade Broadcast. 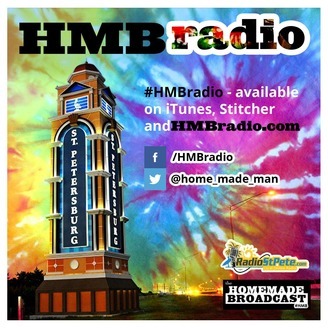 The #HMB can be heard on Radio St. Pete every Sunday evening at 6:15 PM. It is also avialable on iTunes on demand @ https://itunes.apple.com/us/podcast/the-homemade-broadcast/id981253542?mt=2 or on Stitcher: http://www.stitcher.com/s?fid=68840&refid=stpr My Mom's Favorite Podcast joined HMBradio is September 2015 and is hosted by local comedian James Bailey. More info here: https://www.facebook.com/MyMomsFavoritePodcast Ranked #6 of the top comics in the Tampa Bay Area by ilovetheburg.com: http://www.ilovetheburg.com/article/The-Top-6-Comics-In-Tampa-Bay-/4709 Rated one of the "5 Local Businesses to Watch in 2016" - http://www.ilovetheburg.com/article/5-Local-Businesses-to-Watch-in-2016/4988 YouTube: https://www.youtube.com/user/dubu2584/feed CALL US! (813) 693-2124 EMAIL US! thehomemadebroadcast@radiostpete.com TWITTER: https://twitter.com/home_made_man. #HMB 282 - Did the Tampa Bay Lightning Have the Worst Playoff Choke of All Time?